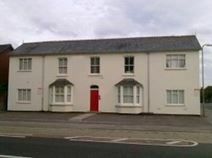 A two storey town centre office property offering fully serviced, furnished or unfurnished business accommodation. A direct train service to London Waterloo runs from Fleet station. Easy access to the M3 motorway, and Heathrow airport via the M25. Fleet business park premises offering modern fully furnished office space, with state-of-the-art IT connectivity. There is a staffed reception, a range of meeting rooms, and a comprehensive support service. Located close to junction 4a of the M3, and within walking distance of Fleet station, for regular trains to London Waterloo. There is a nearby Tesco Express, as well as pubs and other eateries for you to enjoy. Set in a modern business park, close to a variety of local amenities including several health and sports clubs, this modern serviced office centre has recently undergone compete refurbishment and offers a range of options to suit businesses of any size. These contemporary refurbished office suites are available now. This is a rare opportunity to obtain a prestigious business address, with excellent access and private parking. Close to a range of shops and other amenities. Modern, well appointed, fully furnished office space is available at this Fleet property. The complex consists of two air-conditioned buildings, linked by a first floor walkway. There are meeting room facilities and a full support service. Conveniently located for train services to London Waterloo, and the M3 motorway.